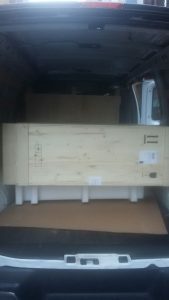 Fine Art Shippers has been providing the art community and individuals with reliable shipping services, storage and installation solutions, quality custom crates, and smooth moves for more than two decades. Over this time, we have built a solid reputation for packaging and shipping fine art to various destinations throughout the New York metropolitan area and around the United States. Besides, our representative offices in Europe and a strong network of partners around the world allow Fine Art Shippers to ship art and antiques just about anywhere, including the United Kingdom, Germany, mainland China, Hong Kong, Japan, Russia, and Australia. 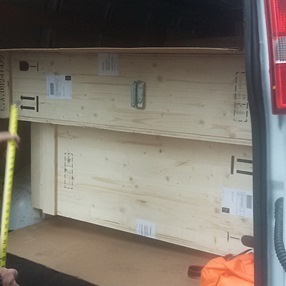 Thereby, whether you are an art business professional who needs to transport a collection of valuables to another country, or you are simply moving to your new home, our art crating and shipping services are the best way to ensure that every single piece arrives at the destination in its perfect condition! 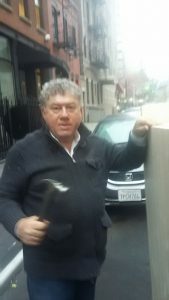 It is also impossible not to mention that while most professional art crating and shipping services in NYC are pretty expensive for an average customer, it is not the case for Fine Art Shippers. 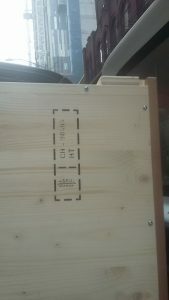 All our art crating and shipping services are reasonably priced, making them accessible to everyone. So, please, do not hesitate to verify this by requesting a free shipping quote right from this website! 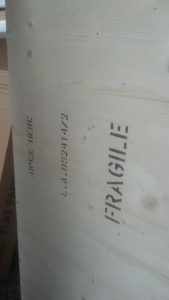 For today, Fine Art Shippers provides high-quality art crating and shipping services of any kind. We can pick up your painting, sculpture, or any other artwork from the indicated location, pack and crate it according to the strict museum standards, organize the transportation process, and ship it to anywhere in the world safely and on time. Besides, Fine Art Shippers also works with galleries and auction houses, receiving and delivering artworks for them and their clients. For example, in the photos below you can see our team handling large size crates for Shapiro Auctions. At Fine Art Shippers, we highly recommend shipping all art and antique pieces in wooden crates manufactured by professional crate makers. For this reason, we offer all our art packing and crating services in-house and never ship anything without proper packaging and crates. You can entrust our team to ship even the most fragile and delicate items because we know how to ensure that they arrive at the destination intact. 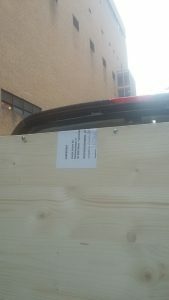 Whatever your needs, our art crating and shipping services are exactly what you are looking for!